Can you input/edit the Biss keys manually on the boxes? This is an unpopular decoder which is said to have the function of opening BISS channels. Tigerstar group are the producer of most of the very exensive BISS auto-roll decoders. Unfortunately, not all the expensive tiger decoders can auto roll BISS channels. The ones that can perform this task includes Tiger-star T8HD Ultra, T8 HIGH Classic-V2, Tiger star T800 HYPER, tiger t3000. Tiger star decoders have two major advantages over other dongles as they open the highest number of satellite tv packages using their own inbuilt IKS accounts (namely; forever acc, vanilla and funcam). They boast of the most dreaded IPTV premium package on any IKS decoder. Gsky team are the first group to have a website and their personalized web-store. GSky now known as hellobox was the first to Auto roll Powervu and BISS channels. 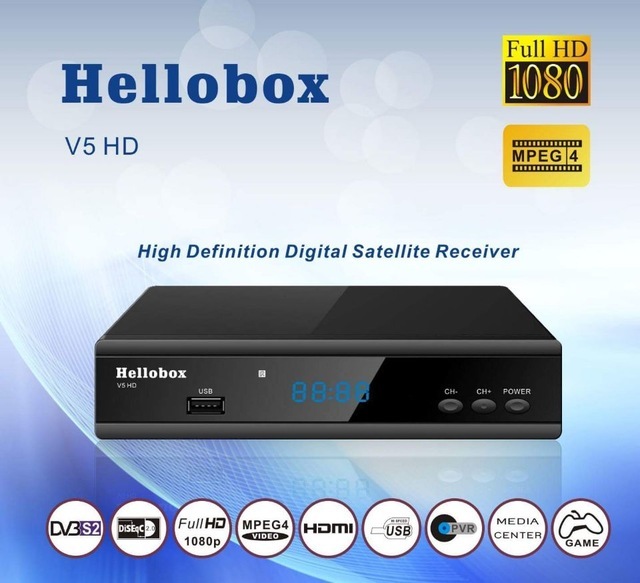 Their decoders includes GSky v5, v6, hellobox v7 v8 and the most recent one, hellobox v5. All their series can auto roll BISS channels as well as Powervu channels. They have one of the best( if not the best) auto roll biss decoders. Basic interoperable scrambling system, BISS is a satellite signal scrambling system developed by the European Broadcasting Union with a party of hardware manufacturers. Before this meeting which change broadcasting satellite feeds were transmitted without any encryption. This allowed anyone with the correct equipment to view the program material. This wasn't satisfying to industry investors and they had to meet to initiate an encryption to satellite broadcasting. Using BISS the transmission is protected by a 12 digit key that is agreed by the transmitting and receiving parties prior to transmission. The key is entered into both the encoder and decoder, this key then forms part of the encryption of the digital TV signal and only receivers with the correct key will decrypt the signal. What are BISS Autoroll decoders? Haven known What BISS is, there shouldn't be a problem guesssing what BISS Autoroll decoders are. Biss decoders are special decoders that can perform all the functions an FTA would perform. ₹ Premium programs such as live sports globally, movies including TV series are a congruent part of BISS decoders. ₹ Auto roll powervu channels(This is optional but GSky and hellobox series and some tiger star decoder do this). ₹ They should have basic IPTV functions should be available on it. ₹ The manufacturer must respond to queries and release timely software updates. ₹ A BISS auto roll decoder should be able to open any or major BISS channels automatically without any input from the user. ₹ Some of the Best BISS Auto- roll decoders do have internet access facilities that will enable them to change the algorithm of the key in the event that the service provider performs an update.